At OrthoSmile, we believe that dental implants are the best possible solution for missing teeth available today. 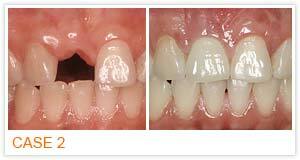 To have a functioning set of teeth can greatly improve your quality of life. Not only will you be able to eat well, but you can also look great. Having your teeth helps give shape and support to your whole face. 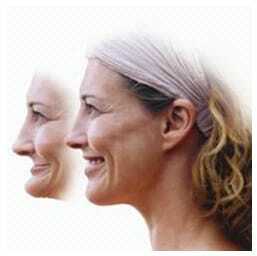 When teeth are lost, the gum and jaw bones shrink, which gives rise to a premature aging effect. Dental implants are made from titanium that is coated with a special coating that encourages the bone to grow around it. 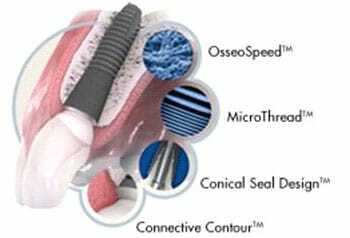 Once the implant integrates into the bone (osseointegration) the implant can last a lifetime. The implant is then restored with a porcelain crown, just like a tooth would be. Unlike a bridge, implants replace a missing tooth without compromising the two teeth on either side of the space by crowning them. Implants are a predictable, conservative, and aesthetic approach for tooth replacement. They are incredibly strong which means that you can bite and chew with an implant just as well as with natural teeth. They are very long-lasting, and allow you to live as if you had all of your natural teeth. Implants are also very versatile, and a combination of one or more implants can be used to restore anyone's smile to brilliance. OrthoSmile was built to provide the best possible environment, with the latest technology and equipment and with the only use of top-quality dental implants. Please visit us for a consultation with our dental implantologists, Dr. Ken Kasidis, to discuss your dental implant options. 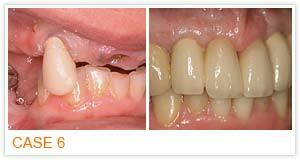 We do a lot of implant dentistry and make beautiful results happen where there was a missing or broken tooth. 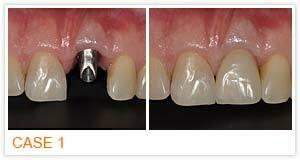 Come in and see some of our recent work using dental implant technology. Implants consist of small titanium posts which are placed into the jawbone where teeth are missing. The bone bonds with the titanium, creating a strong foundation for artificial teeth. In addition to restoring natural appearance in the mouth, implants can help preserve facial structure, preventing bone deterioration, which typically occurs when teeth are missing. Dental implants are small titanium screws which are designed to provide a foundation for replacement teeth that look, feel, and function like natural teeth. A person with implants regains the ability to eat virtually anything and can smile with confidence, knowing that teeth appear natural and that facial contour have been preserved. What are the components of an implant? The main component is the titanium implant itself. This resembles a precisely manufactured screw with a specially roughened surface which makes it very compatible with bone. 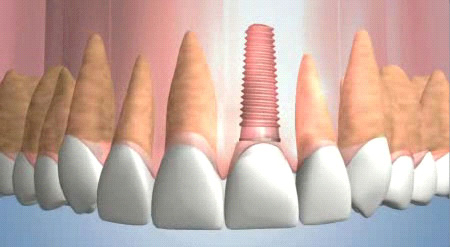 The implant is about the same size as the root of a natural tooth. It is placed into the bone and left to integrate for 4-6 weeks. By this time it is rock-solid in the bone. There are no problems with the integration of the implant into the bone, because titanium is one of the few materials that can perform osseointegration, whereby the implant is accepted into the bone which fuses around it. 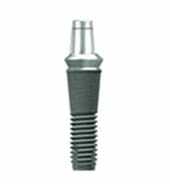 Once the implant is solid in the bone, the second part, a special titanium post, can be screwed into the implant. This is called the abutment. 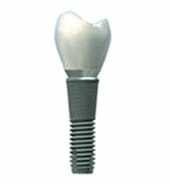 The abutment allows the fixation of the final part of the implant – the crown (a replacement tooth). The crown is usually screwed into place. The porcelain on the crown is custom made to match the color of the rest of your teeth, so that the implants are imperceptible from natural teeth. A better long-term alternative tobridgework, dental implants eliminate the need to grind down healthy teeth when replacing one or more adjacent teeth. Your own natural healthy teeth are not compromised. Unlike bridges and dentures, implants more closely mimic natural teeth in appearance, feel and function. 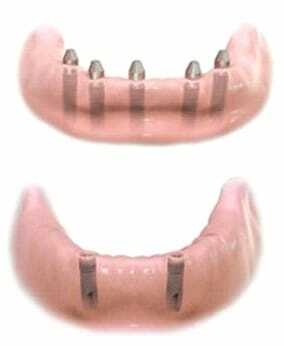 Unlike a conventional three-unit bridge used to replace a single tooth, the healthy adjacent teeth do not have to be modified to support the bridge. This lady had been without a front tooth for many years. She had been wearing a denture. A dental implant was placed with bone grafting. The implant abutment was then connected 8 weeks after the implant placement. Implants are so strong that they can be used to permanently replace your bridge. 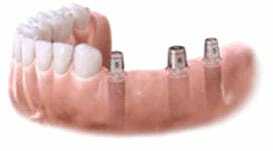 Implants can be used to retain dentures which will stop your dentures from moving. 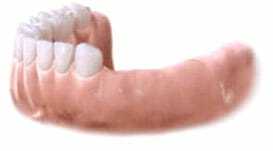 This can be incredibly useful if your dentist has been unable to make a set of dentures which does not move. 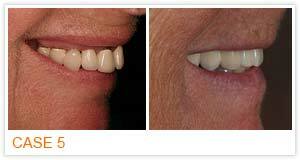 Implants can also be used to do away with dentures all together and return you to fixed teeth again. So if you are fed up with your dentures and have to always watch what you can eat, avoiding tough food, then denture free implants can be a great solution. Just imagine being able to bite into a crisp apple or eat a raw carrot! 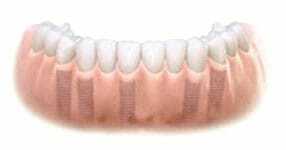 Many dentures have unsightly clips on existing teeth which can now be eliminated with dental implants. This lady came with a very loose upper and lower denture. Four implants were used to fix her lower. Any denture, big or small, can now be replaced with dental implants. This will allow you to chew all of your favourite foods with no food escaping under the denture. This gentleman presented with advanced periodontal disease and requested an aesthetic restoration of his mouth. 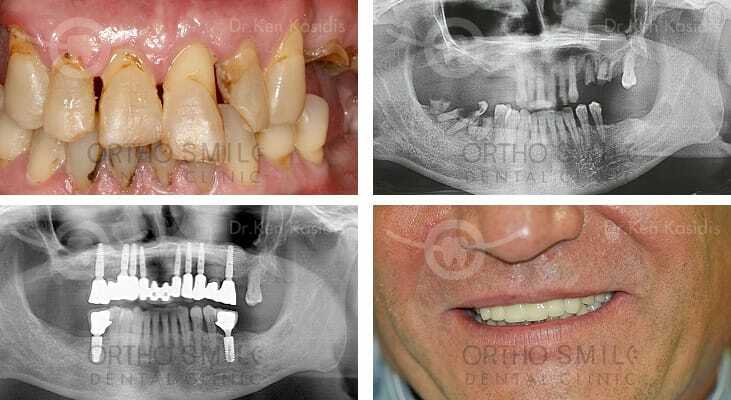 He had already suffered some tooth loss and all of his remaining maxillary teeth were very mobile with advanced bone loss around most of the teeth in the upper jaw and posterior teeth in the lower jaw. Extraction of his hopeless teeth, placement of implants, bilateral sinus lifts and bone grafts and a full upper and partial lower restoration was carried out along with thorough periodontal treatment. Each year, hundreds of thousands of people all around the world benefit from dental implant therapy, from children in their early years to adults in their nineties. According to The American Academy of Periodontology, "The ideal candidate for a dental implant is in good general and oral health. Adequate bone in your jaw is needed to support the important, and the best candidates have healthy gum tissues that are free from periodontal disease. Your dentist will evaluate various factors to determine if you're a candidate for dental implants. Those factors may include certain health conditions (e.g., uncontrolled diabetes) or risk factors (e.g., smoking). These types of conditions may not rule out dental implants, but they must be taken into consideration to be sure they will not compromise successful implant therapy. One important factor affecting implant therapy is the density of your jaw bone, which can vary in density from very dense (ideal) to very porous or spongy. Less-than-ideal bone dentistry does not necessarily prevent having dental implants, but it will likely affect your treatment plan. No. Any person at any age can have dental implants as long as there is enough bone available in which to place the dental implants. If there is not enough bone, extra bone can often be grafted. 1.Your new dental implant will look and feel like natural teeth. 2.With dental implants you will have more confidence to smile and even be able to bite an apple! 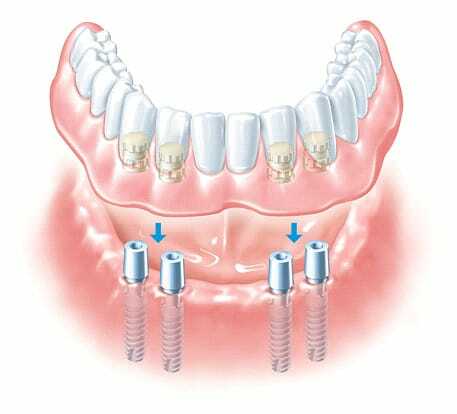 3.Dental implants can replace a removable denture with fixed teeth. 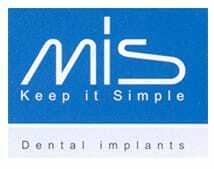 4.Dental implants stop your gums and bone from shrinking which reduces the aging effect caused by losing teeth. We understand it can be embarrassing for patients to be without their teeth. 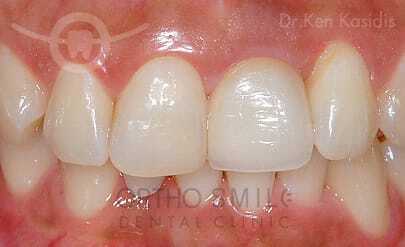 During the treatment we will ensure that you will always smile confidently and that nobody will know you have a gap. We work closely with our patients to ensure that they feel no discomfort during the placement of the dental implant. 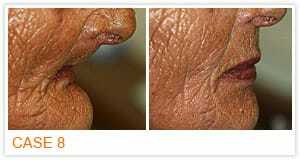 This is through using an effective local anaesthetic. Post-operatively we supply painkillers to ensure that our patients remain comfortable. We also offer Sedation if you want to know nothing about your treatment. For routine cases treatment time is usually ten weeks. More complex cases can take longer. For instance, when there is sufficient bone, treatment time is shortened and when there is insufficient bone, treatment time can be increased. Your specific treatment schedule will be explained to you during your consultation. Would I need to do anything prior to implant treatment? Yes. 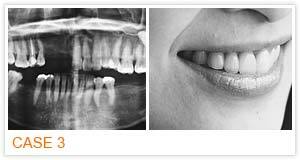 As part of our consultation we will screen your gums and bone for any infections. Prior to implant placement your remaining teeth and gums need to be healthy. What if I am nervous about the treatment? 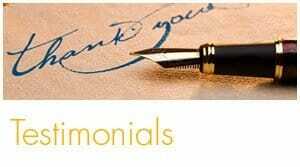 Some of our patients prefer to have the dental implants placed under sedation. A sedative can be carefully administered to relax you during the treatment, and ensure that you remember nothing about it afterwards. Bone growth should be completed at the time of implant placement. It can be assumed that this is complete by about the age of 18 years. Girls generally finish growing earlier than boys. In case of doubt the state of the bone can be checked by an x-ray examination of the carpal bones. Is implant placement contraindicated at an advanced age? It is never too late to improve your quality of life with implants. The treatment is so low-risk that implants can be placed in patients aged 70, 80 or even 90 years. There is no upper age limit. 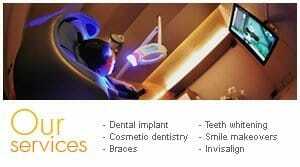 If you are fit for any other routine dental treatment and you are in good health, you can also have implants. Will metal detectors beep at my implant, such as at an airport check? Dental implants have been available for more than 40 years. Over this long period no allergies to titanium implants have become known. Titanium has no allergenic components and is completely neutral in the body. Of the materials used for crowns and bridges ceramic has proven the most compatibility to the body. The allergy risks vary for metals and plastics. Let your dentist advise you what material is best for you. Is a general anesthetic really not necessary for implant placement? No. Local anesthetic can completely prevent any pain. When the dentist prepares the implant site in the bone and place the implant in, you will feel vibration and a slight pressure but no pain. For most patients the procedure feels like a normal treatment for caries, which is also conducted under local anesthetic. However, if you still want to „sleep“ during the treatment the dentist can explain the implications of general anesthetic. Some people lose teeth in the back of the mouth. 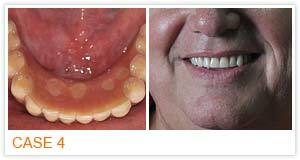 This is typically caused by gum infection (periodontitis) or by teeth cracking due to previous fillings. There are two options for dental implant placement depending on your clinical situation. In a one-step procedure, the dental implant is put in place and a temporary abutment is attached. 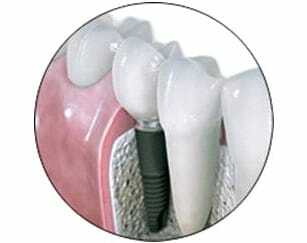 In a two-step procedure, the dental implant is inserted and then covered by the gum. The abutment is attached at a later date. In both cases, a temporary tooth or prosthesis is put in place, followed by a maximum healing period of three months for the lower jaw, and six months for the upper jaw. 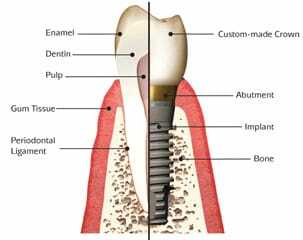 In some cases, the dental implant can be loaded immediately although this depends on your bone condition. When you are ready for a dental implant, you will have a solution tailored to your needs, general state of health and the quantity and quality of your bone tissue. These factors also determine the total duration of the treatment. Consult your dental professional for advice on your specific options. 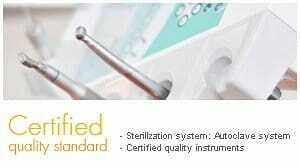 ANKYLOS® Implant System has been in clinical use since 1987. Designed for lasting esthetics, this system offers a conical connection and biological width design. For more than 20 years ANKYLOS, with its unique, friction-locked and keyed Tissue Care Connection has stood for successful long-term hard and soft-tissue stability and long-lasting esthetic outcomes. With the Tissue Care Concept, ANKYLOS is uniquely positioned for the future. 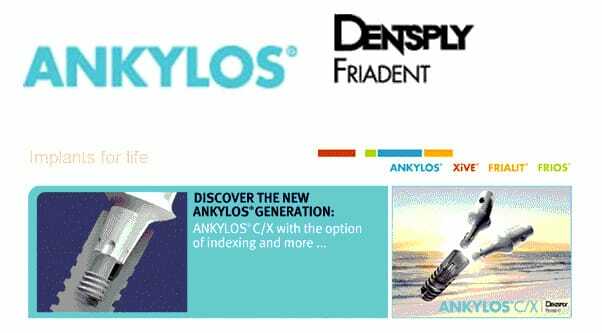 Practitioners and patients all around the world trust the special mechanical stability between ANKYLOS implants and abutments, the structure-retaining implant site preparation, and the esthetic advantages of ANKYLOS prosthetics. The Astra Tech Implant System™ has been on the market over 20 years. Based on years of extensive research, we have developed a unique dental implant system that provides a secure anchor for new, natural-looking teeth. A small titanium screw is inserted into your jawbone. Titanium is a metal accepted by the body and heals together with the bone tissue to form a new, stable tooth root. 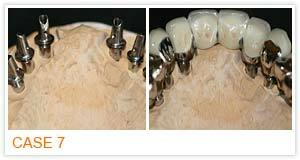 An abutment is a ceramic or titanium post that is placed into the implant to support a crown. 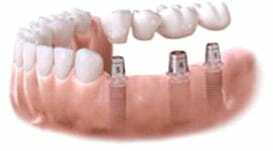 Once the dental implant and the abutment are in place, your dental professional fits the crown, the bridge or the prosthesis. A dental implant is the optimal solution if one or more teeth are missing. The Astra Tech Implant System™ can be tailored to different needs so that virtually anybody can have a tooth replacement that looks and functions like natural teeth. Fully developed bone tissue, however, is an important prerequisite. This is why dental implants are normally not installed in people under the age of 18. When you are ready for a dental implant, you will have a solution tailored to your needs, general state of health and the quantity and quality of your bone tissue. These factors also determine the total duration of the treatment. To find out if you are an implant candidate and to learn how Astra Tech implants can help restore the beauty of your natural teeth − speak with your dental professional today. Astra Tech Implant System™ works together with nature in supporting the natural healing process instead of interfering with it. Healthy gums and maintained bone levels are crucial for a long lasting esthetic tooth replacement. Under the right conditions, nature itself does the major part of the job. The Astra Tech Implant System™ is designed to provide nature with the right conditions; all of the system's parts work together. It is function, beauty and biology in perfect harmony – we call it the Astra Tech BioManagement Complex™. Can you really implant happiness? 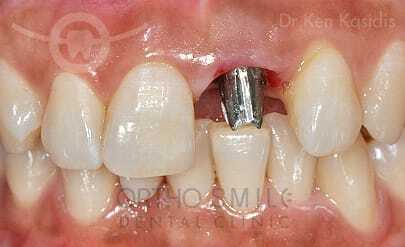 Sometimes, a small piece of titanium can revitalize your smile and boost flagging self-confidence. Those who have one or more missing teeth may feel insecure and self-conscious, but there is a story behind every missing tooth: an accident or bad genes, perhaps, or maybe cavities or periodontitis are the cause of a gap. Whatever the reason, patients want to be able to chew properly, to experience reliable stability, to retain their healthy teeth and to feel attractive. 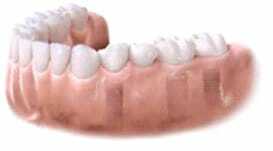 The dental plates often required with conventional dentures may cause pressure points and other inconveniences. 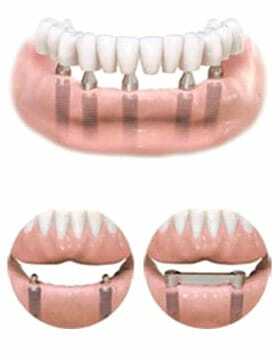 With dental implant therapy, such dental plates are not necessary. Therefore, patients may experience more comfort when talking, smiling and eating. A North American survey has highlighted the advantages of implants and proven the theory that “those who kiss enjoy life more.” People who have bad or missing teeth kiss others less often and are in turn kissed less than those with good teeth. Surveys conducted by the McGill University in Canada with support from Straumann have shown that unease during kissing is considerably reduced if prostheses are anchored in place by implants. Implants transmit chewing forces to the jaw bones, which helps to maintain the bone. If there is no implant, as with conventional bridges or partial prostheses, the bone may slowly recede and the shape of the face may change over time. With a conventional bridge, the healthy neighboring teeth to the right and left of the missing tooth have to be ground down to support the bridge. When using an implant to close the gap, the neighboring teeth are not affected and the natural tooth surface remains intact. 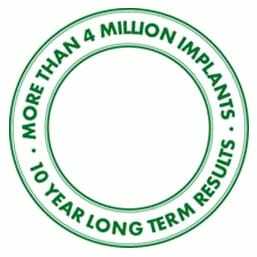 Straumann dental implants have been sold over four million times worldwide. The Straumann® Dental Implant System is one of the most frequently used systems in the world and is the result of more than 30 years of scientific experience. With conventional methods, the two healthy neighbouring teeth have to be ground down in order to fix a bridge in place. This results in a loss of natural tooth surface. Because the bridge does not transmit chewing forces to the jaw bone, bone deterioration may occur. The dental implant replaces the missing tooth root. The healthy neighbouring teeth remain completely intact and are not ground down. Straumann offers solutions for a wide range of dental indications, from single gaps to completely edentulous jaws. Straumann is one of the global leaders in implant and restorative dentistry and oral tissue regeneration. In collaboration with leading clinics, research institutes and universities, Straumann researches and develops implants, instruments, CADCAM prosthetics and tissue regeneration products. 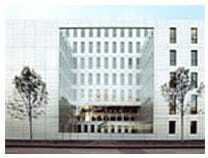 Straumann is an international group of companies with headquarters in Basel and distributes its products globally in more than 60 countries. Its philosophy? Simply doing more. 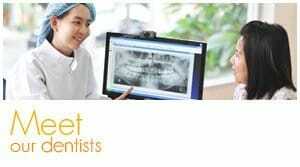 The company offers innovative solutions which allow dentists to provide their patients with solutions based on the latest research. Reliability and quality are company hallmarks: Straumann solutions are thoroughly researched and scientifically proven –both now and in the future. Why opt for Straumann dental implants? XiVE. Innovative functionality. Outstanding esthetics. Absolutely flexible, versatile and superior primary stability: XiVE is a reliable solution for the most demanding indications. 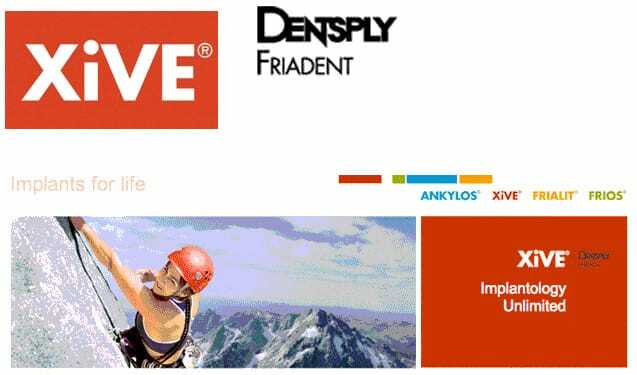 Surgical and prosthetic – XiVE frees you from all restrictions. Innovative thread design and preparation technique ensure outstanding primary stability in all bone classes. The comprehensive range of prosthetic concepts appropriate solutions for even complex indications. XiVE. Surgical flexibility. Prosthetic variety. XiVE is designed for the greatest possible prosthetic and surgical flexibility. The multifunctional components allow you to take advantage of all the options available with the innovative prosthetics. For example, with the unique TempBase design from XiVE a temporary denture – virtually the same as the final restoration – is easily fabricated, the ceramic CERCON abutments offer outstanding esthetics, and with a cast-to abutment like the AuroBase even difficult initial situations can be given a functional customized prosthetic solution from the top face of the implant. 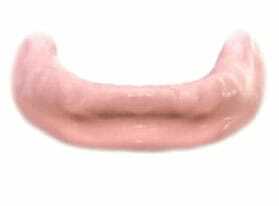 These prosthetic concepts have been the fist choice of dental technicians, implantologists and patients throughout the world for many years. 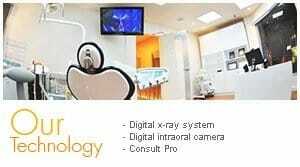 Implantological choices for you – the best solution for your patients. XiVE. Complete concept. Absolute primary stability. Stable, secure and if necessary immediate? 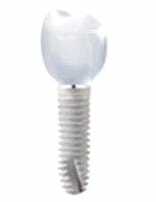 This is easy for the specialized implant and thread design of XiVE: the screw implant is a perfect fit in the bone. And in all bone classes. The result is very high primary stability – the decisive prerequisite for successful therapy and implementation of the latest implantology concepts.